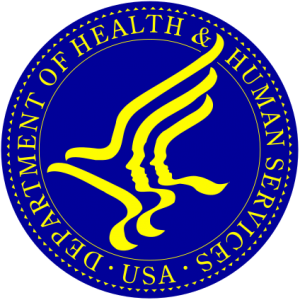 Los Angeles, CA – July 16, 2018 — If we are going to truly harness data to lower healthcare costs while accelerating and rewarding innovation that benefits patients, then defining and assessing value in healthcare must improve, the Innovation and Value Initiative wrote today in a comment letter to the U.S. Department of Health and Human Services (HHS), responding to the HHS blueprint to lower drug prices. “The sad reality is that while the pace of innovation has accelerated in medicine, innovation in the measurement and reimbursement of healthcare value has not kept pace, said Jennifer Bright, IVI’s executive director, who signed the letter. IVI noted that the most commonly used approach for comparing value of treatments is cost-effectiveness analysis, which offers a limited view by focusing on health outcomes for the average patient. IVI called for a wider focus in value measurement, with an emphasis on incorporating new methods and data sources that can help the U.S. evaluate treatments based on patient’s unique characteristics, preferences and goals for their care. IVI offered comments on two primary themes: transparency to all stakeholders and the incorporation of patient perspectives in value assessment. IVI stressed the importance of building patient perspectives into all models and tools that measure value. “Improving healthcare for patients requires that patient perspectives and lived experience remain relevant throughout the lifecycle of innovation – from defining important endpoints for research to designing benefits that ensure access to the right medication at the right time for the right patient,” according to IVI. The Innovation and Value Initiative (IVI) is a collaboration among thought leaders in academia, patient advocacy organizations, payers, life sciences companies, providers, delivery systems, and other organizations. It was created to raise the level of discussion regarding value in health care and find common ground in the approach to measuring and rewarding value. IVI’s Strategic Advisory Panel includes experienced leaders from across the health care industry. Their role is to provide advice and ensure the credibility and rigor in the research and policy products and to ensure all parties have a voice in IVI activities.